On this WordPress security testing page there are two options. The first is a FREE passive check that downloads a handful of pages from the website and performs analysis on the raw HTML code. The second option is a thorough active scan that attempts to enumerate plugins, themes and users with custom WordPress auditing scripts that use the Nmap NSE framework. 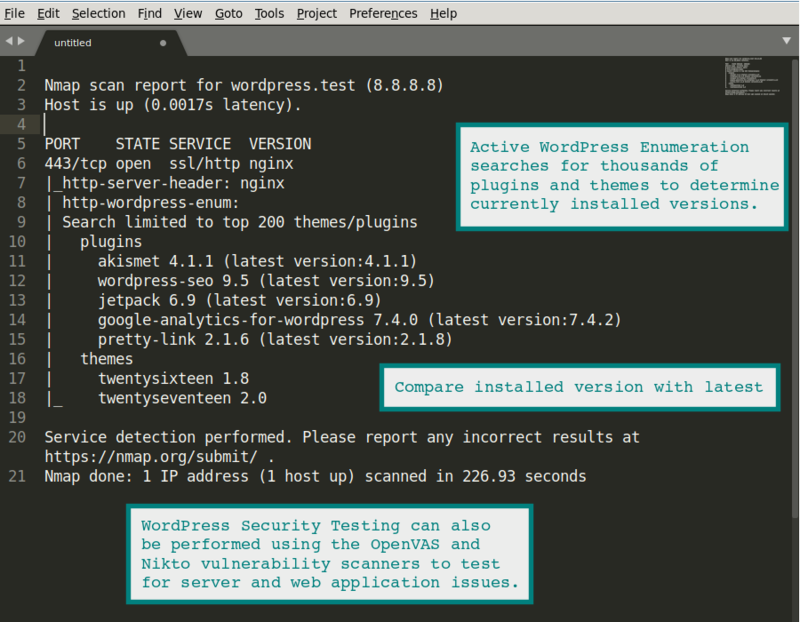 Perform a Free WordPress Security Scan with a low impact test. 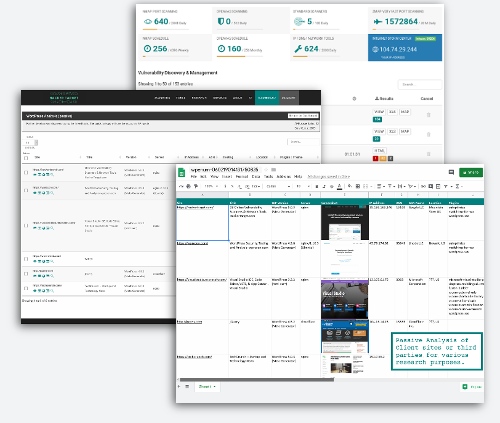 Check any WordPress based site and get a high level overview of the sites security posture. Once you see how easy it is grab a membership and test WordPress + Server Vulnerabilities with Nmap WordPress NSE Scripts, Nikto, OpenVAS and more. The basic security check will review a WordPress installation for common security related mis-configurations. Testing with the basic check option uses regular web requests. The system downloads a handful of pages from the target site, then performs analysis on the resulting html source. The more aggressive enumeration option attempts to find all plugins / themes that are being used on the WordPress installation and can attempt to enumerate users of the site. These tests will generate HTTP 404 errors in the web server logs of the target site. If you test all plugins, be warned that this will generate more than 18000 log entries and potentially triggered intrusion prevention measures. 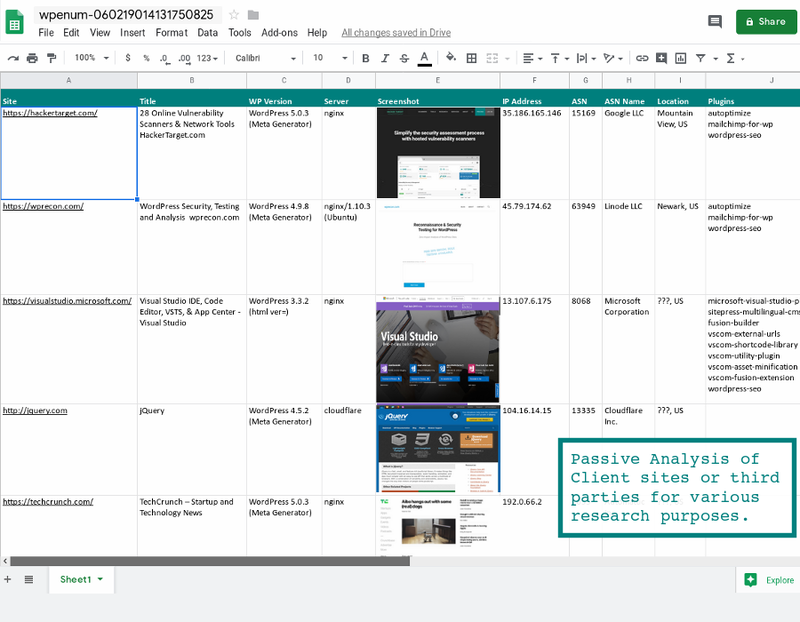 By identifying all the plugins, themes and users of the site you are developing an understanding of the attack surface. With this information you are able to target further testing against the discovered resources. List WordPress Plugins detected through basic HTML analysis (try the Active enumeration option for more aggressive discovery of plugins). 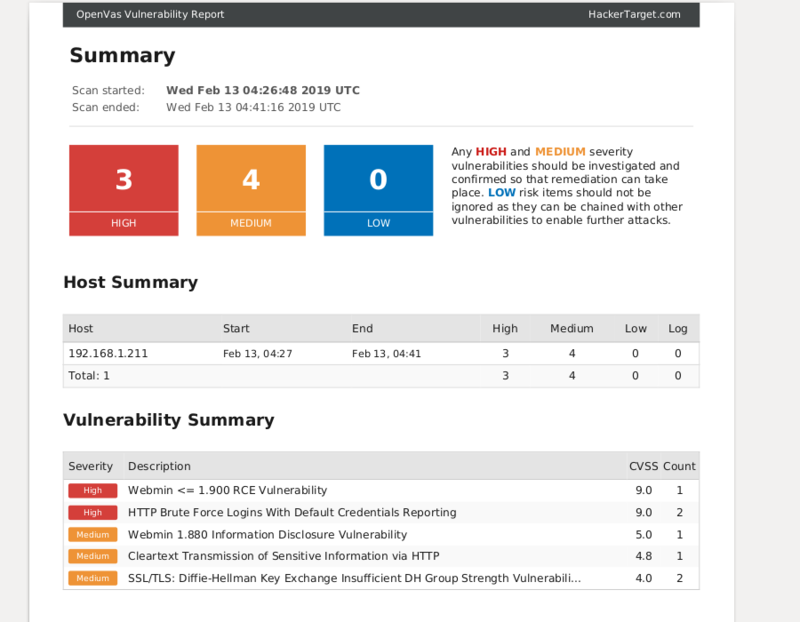 Access to the custom OpenVAS WordPress Scan to test WordPress & Web Server vulnerabilities. 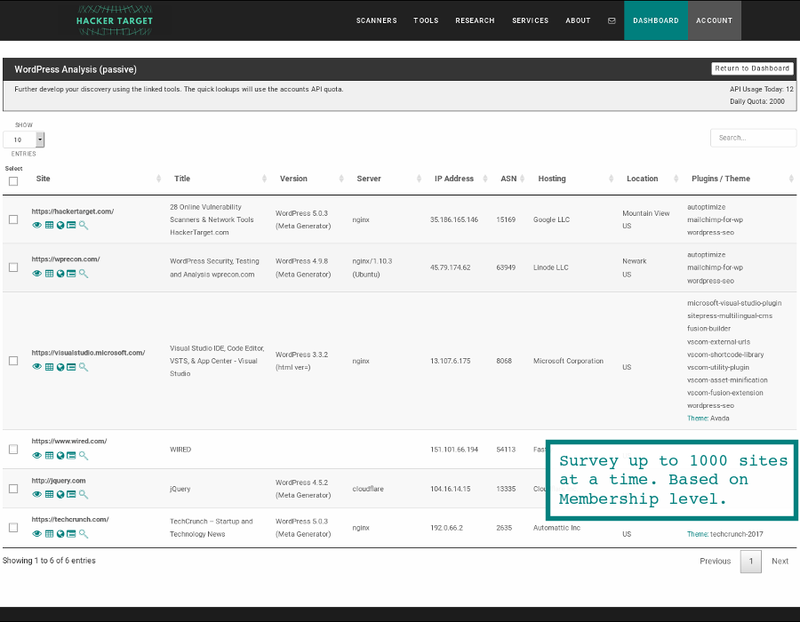 With membership you have full access to all security testing tools including port scanner, web server testing and system vulnerability scanner. WordPress is the worlds leading content management system. This makes it a popular target for attackers. Analysis of compromised WordPress installations, shows that exploitation most often occurs due to simple configuration errors or through plugins and themes that have not had security fixes applied. The checks performed by our WordPress security scan will point out any obvious security failures in the WordPress installation. As well as providing recommended security related configuration improvements to enhance the security of the website against future attacks. Need an expert? Professional WordPress Assessments. Validated Security Report. Fast turn around.